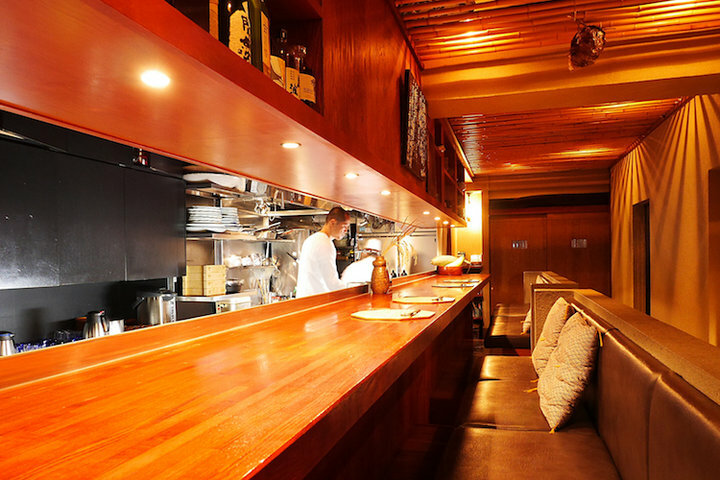 "SUN", a modern Kappo-style restaurant where you can enjoy Japanese cuisine casually, has been attracting many gourmets. 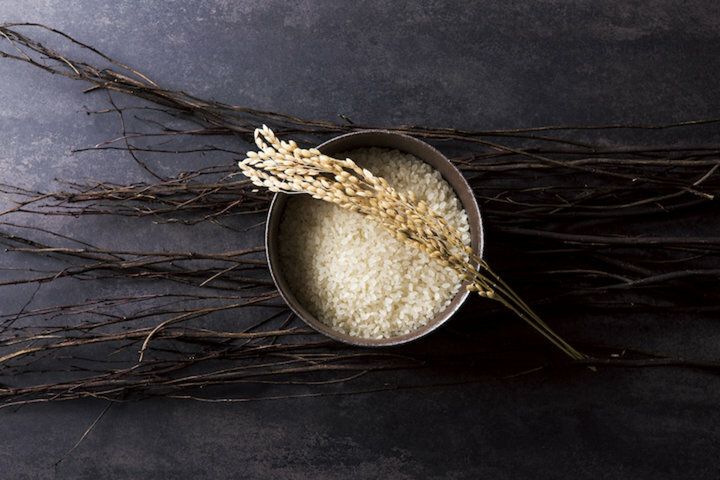 The name of the restaurant "粲 (San)" has an image of white rice and lavishness of Japanese cooking, with the word “Sun” suggesting a place with bright and positive vibe. The head chef, Mr. Takayuki Moriyama, was trained at a Japanese restaurant in Tokyo and then went to the US in 2008. He worked at New York's Michelin-starred Japanese cuisine restaurant, 'Kyo Ya'. 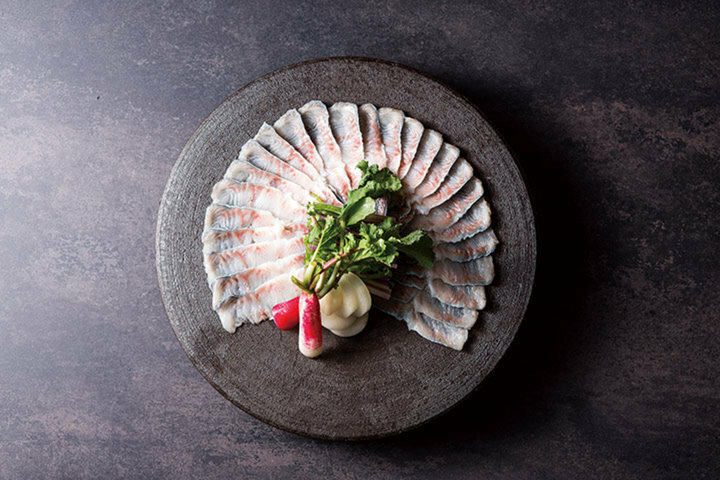 He subsequently spent time at various other well-known restaurants, and in 2015 he was appointed head chef at “Kintsuta Tokyo” in Roppongi and Ginza. In 2018, Mr. Moriyama became the head chef of "SUN". 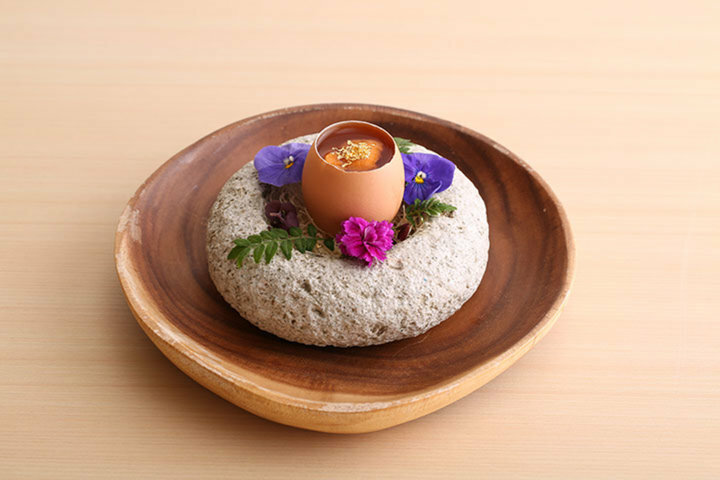 Active in various events both within and outside Japan and in kitchen supervision, "SUN" is Mr. Moriyama's masterpiece with his own style of restaurant menu that was a result of hispast experiences at different Japanese restaurants. Unusual for a traditional Japanese restaurant, the menu is in a prix fixe style, so you could choose your own main course and claypot rice. The signature dish is 'Kyushu unagi ume shabu' (Kyushu eel and plum hotpot), featuring Kyushu eel and seasonal ingredients in a pot. As you eat this dish of thinly sliced eel with rich and fragrant broth tinged with the flavor of carefully selected plums, you will feel the taste of fatty eel and elegant plum spread in your mouth, creating a delicate harmony of Japanese flavors. The popular "Black wagyu beef suki, claypot rice" is a rice dish cooked with burdock anddashi, and topped with black wagyu sukiyaki and rich egg. The “Chef’s Choice” course uses seasonal ingredients according to the 24 Solar Terms. The “Kasugyu” is a dish not to be missed, it is Japanese black wagyu that is marinated in sake lees for 7 days and 18 days. Mr. Moriyama is also a qualified Master of Sake, and the restaurant serves six types of sake he has himself overseen at the brewery, such as Yamanashi Shichiken, Tokyo Sawanoi, Fukuoka Komagura, and Tanaka 65. The sake varieties change according to the season. The theme of the interior décor is wood and stone, with a contemporary and relaxing feeling. There are eight counter seats for everyday dining and four private rooms (three rooms that seats four people; one room that seats two people). The restaurant is an oasis of the calm in the city, a place where you can relax and forget about any anxieties and concerns. You can also send Pocket Concierge an inquiry directly. It is a great place to enjoy delicate Japanese cuisine in a casual atmosphere. The food and the presentation were on point. It was my American friends' first time in Japan and they absolutely love their first meal here. The sukiyaki-style beef claypot rice and the eel and plum shabu were amazing. You could choose which claypot you would like to use. It is incredible to be able to have such a good dining experience with this price in Roppongi.